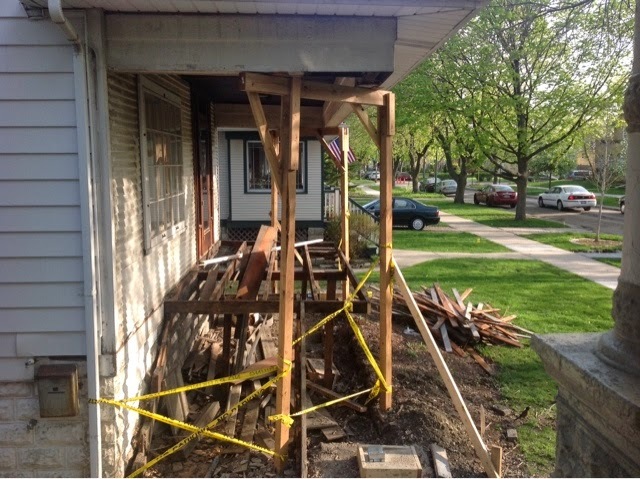 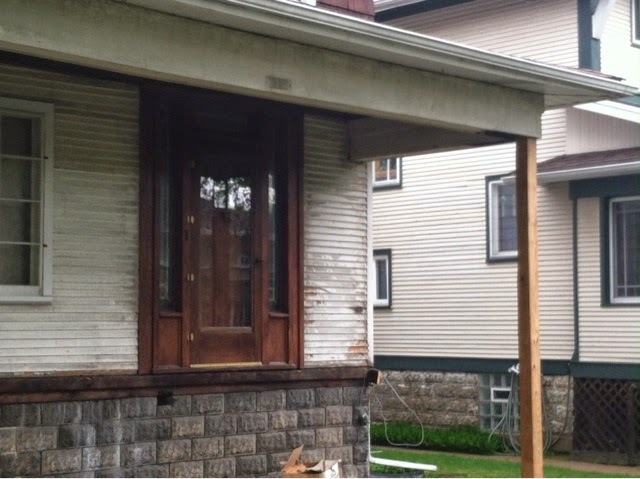 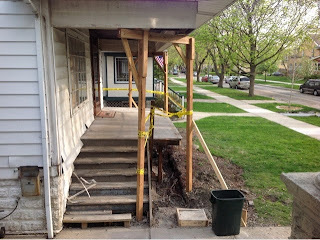 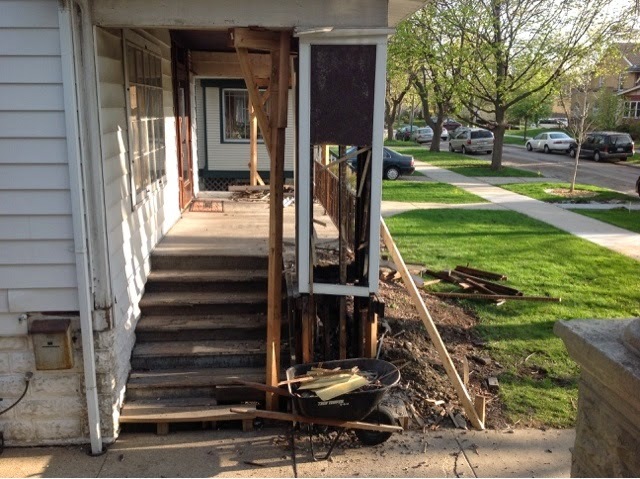 My neighbor has been slowly demolishing his front porch. 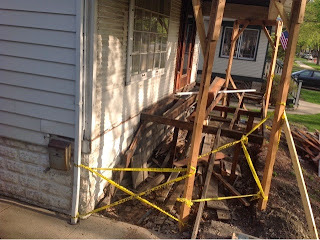 Apparently thanks to some storm damage a year or two ago, his insurance will cover replacing the siding. 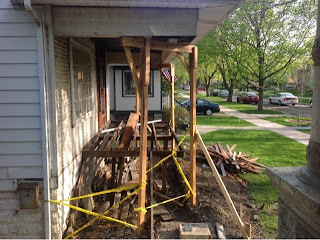 He hasn't gone into details but I suspect he figures this is also a good time to replace the front porch. 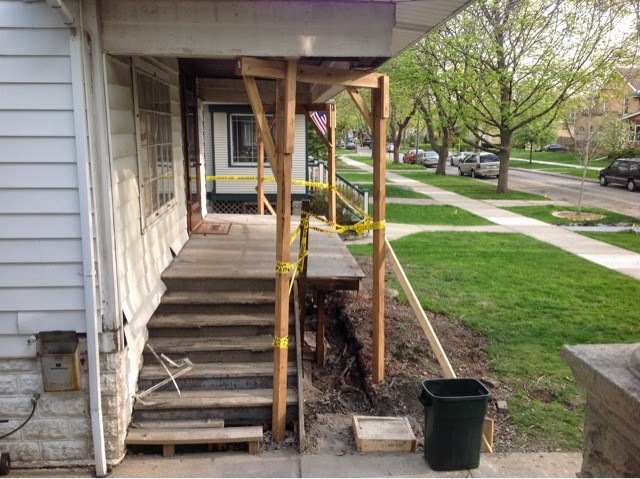 I suspect the reason for the delay was to save up the portion that he has to pay and also, they have 3 kids which usually brings about unexpected expenses. 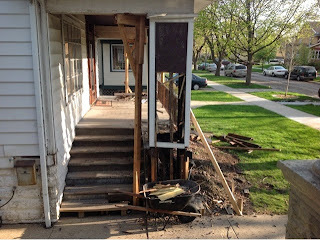 And also that Life Gets in the Way thing.